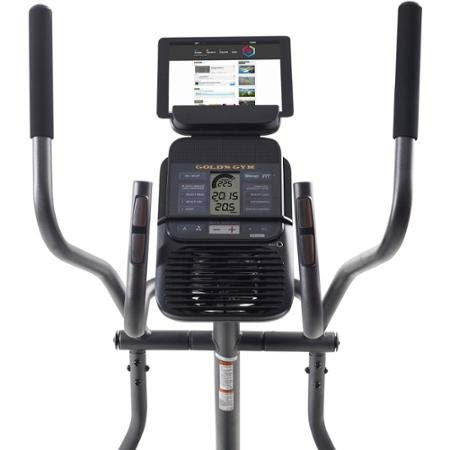 Get fit in the comfort of your own home with the Gold Gym Stride Trainer 450i or 450 Elliptical Machines. Both the Gold Gym 450i and 450 Stride Trainers offer 14 workout apps designed by certified personal trainers, together with 14 digital resistance levels to keep your workouts varied and progressively challenging. 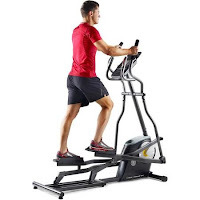 Both elliptical machines feature a 17” stride length and have a silent magnetic resistance system that delivers a smooth and quiet workout. With dual moving/static handlebars, you can choose to work both your upper and lower body at the same time or hold onto the static handlebars and just work the lower body. 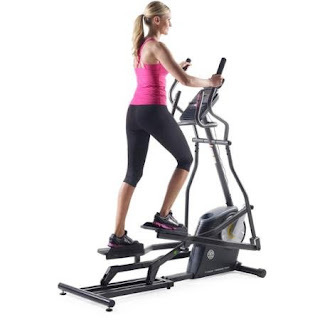 The Gold Gym Stride Trainer 450i is the up-graded model over the 450 and is enabled with iFit Bluetooth Smart technology which the 450 doesn’t have. An iFit membership will enable you to have access to an expanding fitness library for even more workout options and you can even exercise following routes powered by Google Maps! iFit will also automatically track your workout stats. 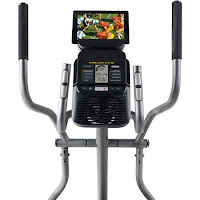 Although the Gold Gym 450 doesn’t have iFit compatibility, it does offer an exclusive on-board 8-week weight loss program that works by controlling the resistance of your workouts. Apart from the difference between iFit enabled or not, the Gold Gym Stride Trainer 450i and 450 are essentially the same machine. Both elliptical trainers come with a large LCD screen with a target pacer that tracks your speed, time, distance, and calories burned. Your heart-rate can also be measured via the grip pulse heart-rate monitors integrated into the handlebars. 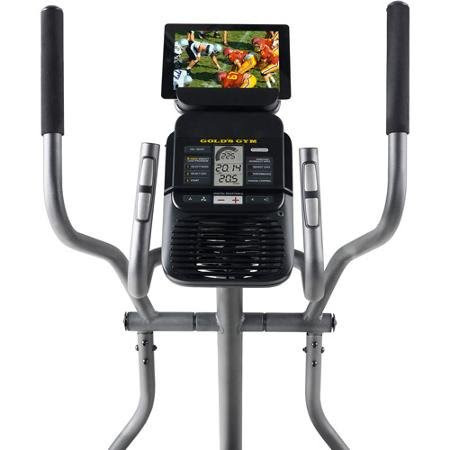 Both the Gold Gym 450i and 450 elliptical trainers come with an integrated tablet holder so you can read or watch a movie as you exercise. 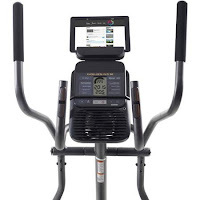 Both machines also feature a high-quality sound system which is MP3/iPod compatible so you can listen to your favorite music as you workout. Additional features on both the Gold Gym 450i and 450 elliptical trainers include a CoolAire fan to keep you cool and a water bottle holder so you can keep hydrated as you exercise. Both the Gold Gym Stride Trainer 450i and 450 offer enough workout programs and resistance levels to keep your workouts varied and challenging. But if you’re the sort of person who gets bored easily or wants even more of a challenge, then opting for the 450i would be best for you, allowing for a great variety of ever-expanding workout options with its iFit compatibility. At the time of writing, the 450i is actually retailing online at a LOWER price than the 450 so it’s definitely worth getting even if initially you don’t bother with the iFit side of it!